Sometimes, going back to basics is the right way to go. The convenience of a tested and well-known hand drying option has its advantages. In case of Alsco’s products, this is just right description of Alsco’s Paper Towel Dispensers. Good old paper dispensers offer the highly-hygienic solution to washroom drying. 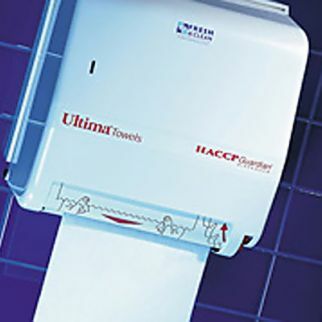 Our dispensers have highly-absorbent paper that make hand drying efficient and fast. Papers are conveniently organised into pieces so prevent overusing, all in the light of more environmentally-friendly efforts, characteristic for many businesses in New Zealand. The paper in Alsco’s Paper Towel Dispensers is soft and pleasant to touch and it won’t irritate or cause dryness of sensitive skin. The best part about paper towel dispensers is that they can have more use than one. 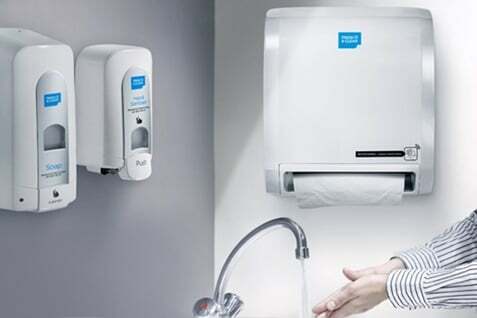 While their primary use is to help your coworkers dry their hands, they can be useful when something needs a quick wipe or clean. That’s why they can find their place in office kitchens, as well. Managed rental service that Alsco New Zealand offers means that all the work around these towel dispensers is not your concern anymore. We install them, refill them when necessary and keep them in their best condition.